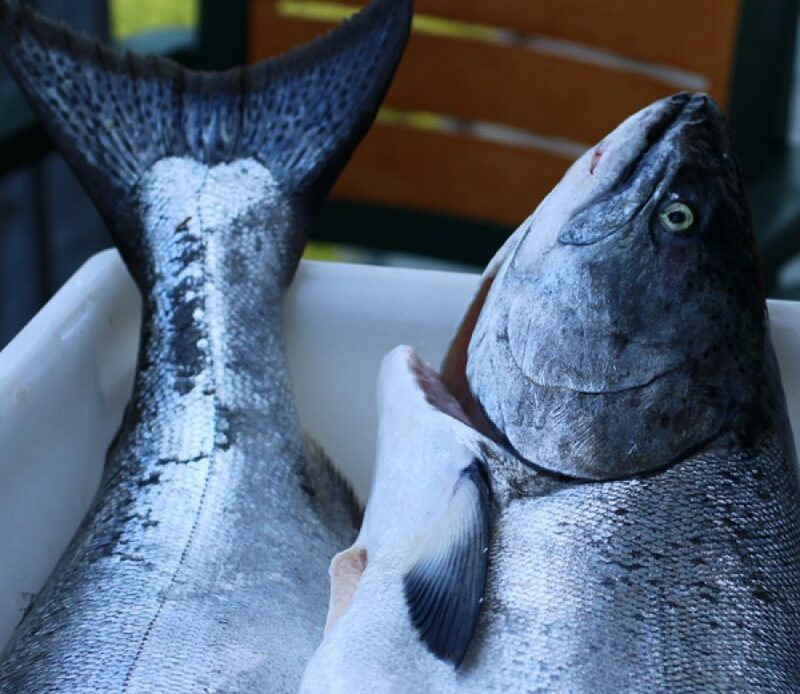 What do you do with all your salmon you have caught or bought? I have been cooking salmon for the better part of my life and no matter what sauce I pair with it or how I cook it, if it is not handled properly it can be trouble. This month I am going to lead you through the best ways to make sure your salmon tastes just as good as the day it was caught. Check out Kathy Kingen’s blog to learn more about these intelligent fish, Salmon: The Sophisticated Navigator. If you have ever hit a big day of fishing for salmon you end up having too much to eat all at once. The best way to handle your fish is to keep it whole. Yes you need to gut the fish and take the head off but freezing your fish whole will slow down the cell degradation, which yields better fish. When thawing your fish you want to thaw it in your refrigerator for 12 hours. Then filet it and cook! After the Canadian wild fires I am sure the last thing on your mind is smoke. Smoking is my favorite way to preserve fish for fall and winter eating. You can smoke the fish and then Cryovac and freeze. An important rule to remember when cooking is: DO NOT OVER SMOKE. Below is a step by step process to smoking your fish. Clean your sides of salmon and make sure the bones are out of them. You can also cut them into chunks or whatever you desire for storing later. Place the salmon on a cookie sheet skin side down. Mix the brown sugar, kosher salt and black pepper in a bowl. Liberally rub on salmon flesh NOT SKIN. Place salmon in refrigerator overnight so the cure works its magic. Heat up your smoker to 250 degrees F.
Take the salmon off the cookie sheet and put it into the smoker. Pull from smoker and make sure it is soft to touch and slightly pink in the center.